Forest Schrodt is a devoted healer, artist, dancer, student and teacher. 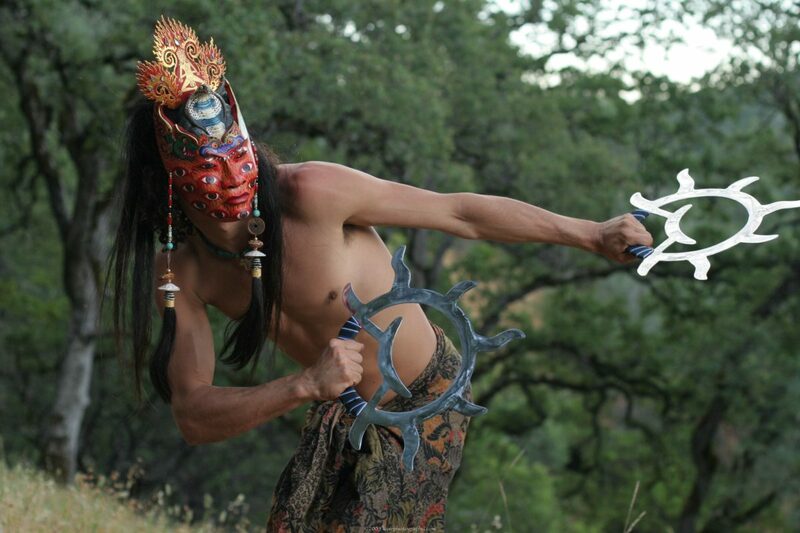 In 1997 he founded Liquid Fire Mantra fire dance theatre company which performs all over the world. Featuring elaborate masked characters, feather dancing, fire dancing, story telling, and working with musicians, dancers and performers. Since 2001, Forest has been teaching workshop on dance yoga flow arts. He currently hosts an annual two week event – Bali Flow Camp, a full spectrum, meditation, yoga, dance, Jedi training, fire dance emersion. Forest is the founder of Omqar Yoga and Unicorn Heart Breath, two visionary yogic wellness practices inspired from Qi Gung, Yoga, Shamanism, Temple Dance and prayer technologies; in supporting a thriving life. Having worked on countless events since 1999, Forest is dedicated to co-creating sacred community. At the beginning of 2016, Forest opened a large scale event space, enhancement and retreat centre in Bali called Bali Flow Temple, featuring 30×20 meter wood dance floor and accommodations for over 30 people. This incredible venue continue’s to support community healing, celebration and evolutionary growth.